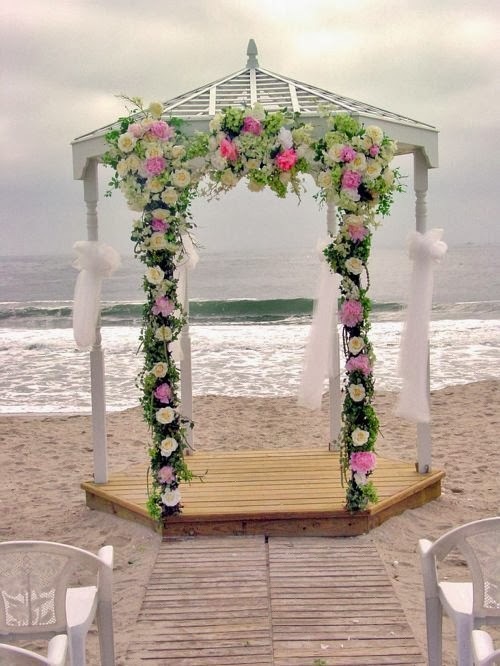 Wedding gazebos are a timeless staple of celebration decor which add class and style to any event, but especially enhance the beauty of a wedding. 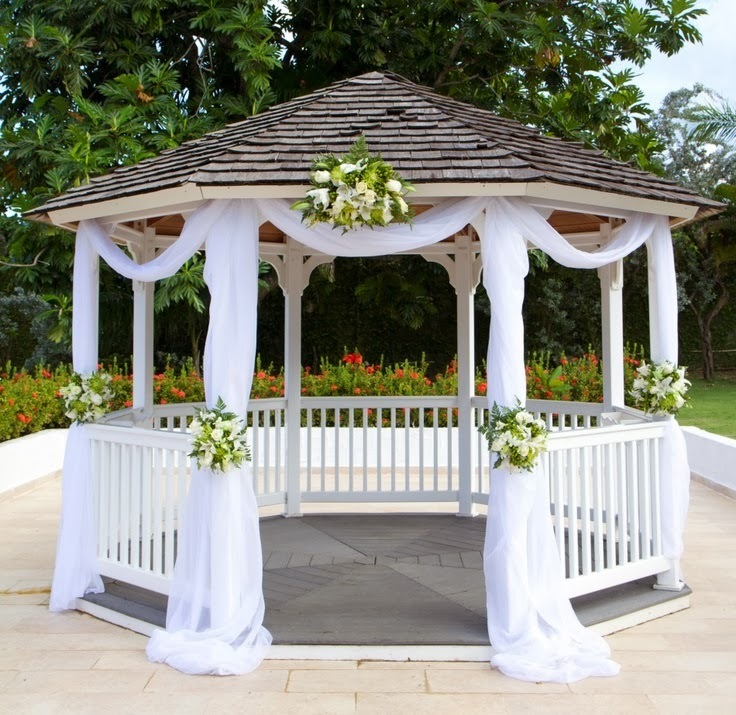 Traditionally, the gazebos are octagon, providing a Victorian or Colonial feel the design. The size you're looking for will be dependent on how you plan to use the gazebo. 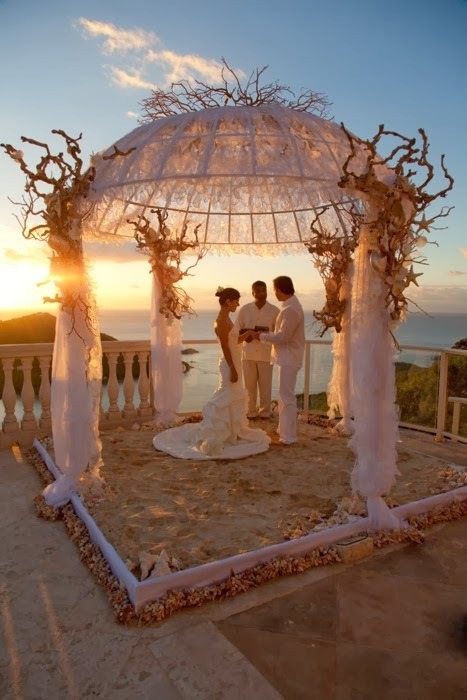 Smaller structures work well for small ceremonies in which the wedding party uses the shelter as a focal point. 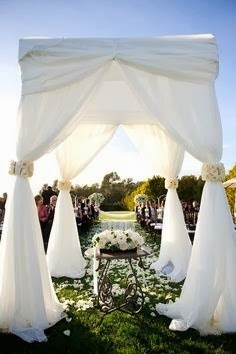 But, larger gazebos can cover whole receptions. The octagon gazebos add to the landscape portrait as well as service a functional purpose. 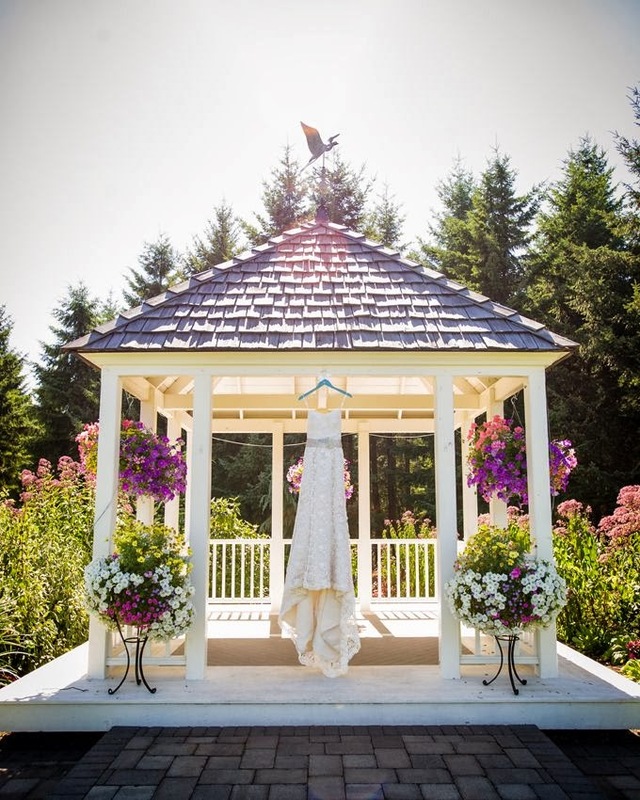 Many ceremonies have been conducted at the gazebo entrance, with the presiding official at the gazebo entrance between the columns and the happy couple just below. Many more wedding photos have included the wedding gazebo, sometimes with the wedding party outlining the structure. 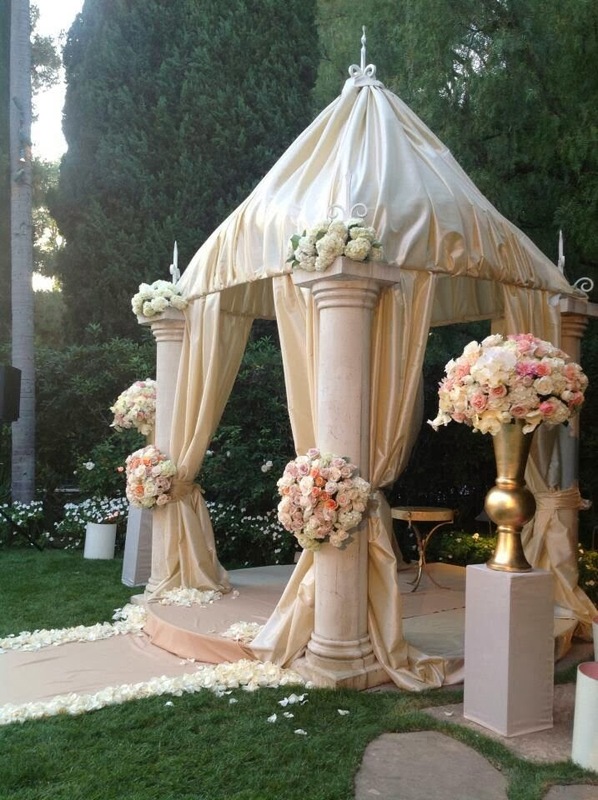 A 10 foot diameter octagon is the bare essential and works well in a backyard setting, but for more public usage and larger weddings, 14 foot and larger diameter octagon gazebos should be considered. 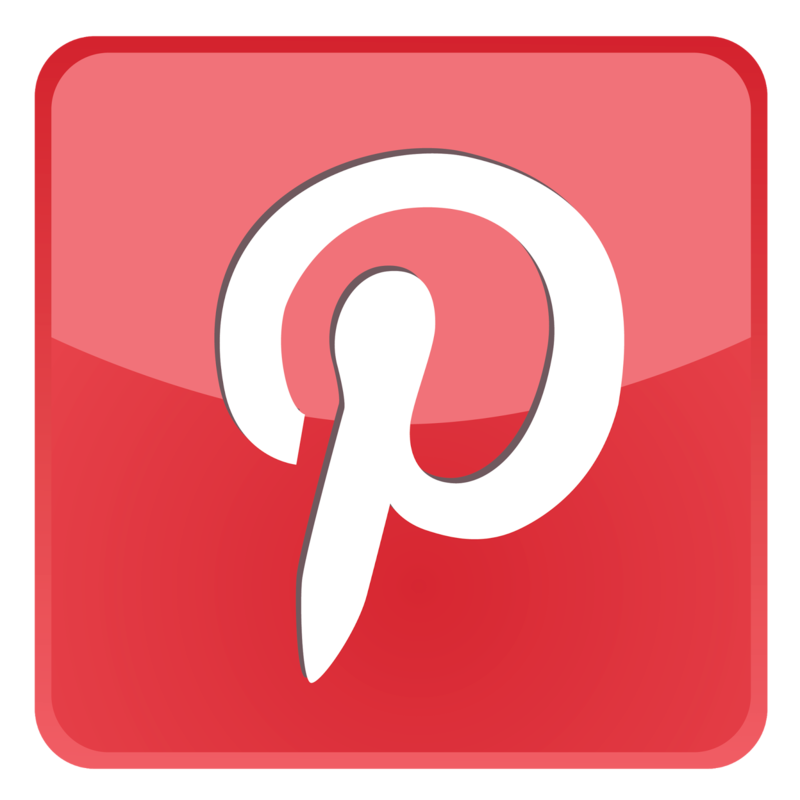 The most conventional color for wedding gazebos mirrors bridal gown traditions: white. White vinyl is the most popular choice for its white, smooth and maintenance free finish. Treated pine gazebos may be painted white, but cedar can also be used for an entirely different rustic look. The gazebo requires a level foundation, which may extend just beyond the perimeter of the gazebo, may be made of flat stoned gravel, paver stones or concrete. Landscaping choices can conceal most of the foundation, or with prior planning, the foundation may be used as part of the landscaping.